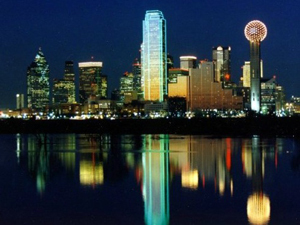 The City of Dallas has decided to throw its Stetson hat into the ring for host city for the 2016 Republican National Convention consideration. With Texas poised to be a keystone in the electoral vote to elect a Republican president in 2016, what better place to host the convention spotlighting Republican candidates and philosophies. Dallas last hosted the RNC in 1984 when Republicans gathered from across the nation to kick off Ronald Reagan’s re-election campaign. Las Vegas, Kansas City, Denver, Phoenix and Columbus sent delegations to Washington in January to pitch Republican Party leaders during their three-day winter meeting -- courting them with souvenirs, barbecue and receptions. While Texas has been a solid red, Republican-controlled state for the past 20 years, efforts are underway by the Texas Democratic Party and Battleground Texas to change that political landscape. The GOP could send a strong signal about the importance of Texas in the Republican election strategy by selecting Dallas to be the host city. The state’s large and growing Hispanic population is a key target for the GOP. Republicans have held a firm grip on statewide offices for two decades, although the city and county have shifted to Democratic control in recent years. The area’s GOP donor base is robust. Dallas offers 35,000 hotel rooms, and enough for all the delegates within 11/2miles of the arena — a big selling point. Dallas is behind in their effort to win this convention as their competitors have been in the fight for quite some time. “We are playing catch-up fast and furiously, putting the bid together,” said Phillip Jones, president and CEO of the Dallas Convention and Visitors Bureau. “We have a lot to offer and we have a strong heritage and history in Dallas and Texas that would suit the message of the Republican Party better than some of the competitor cities,” Jones concluded. Article and image originally posted on Breitbart.com.